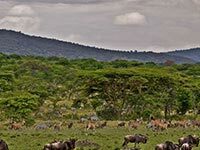 The drive to the National Park from Arusha Town is an easy 40 minutes (51.5 km 32 miles).  From Kilimanjaro International Airport it is approximately 60 km (35 miles) and takes approximately 1.5 hours. 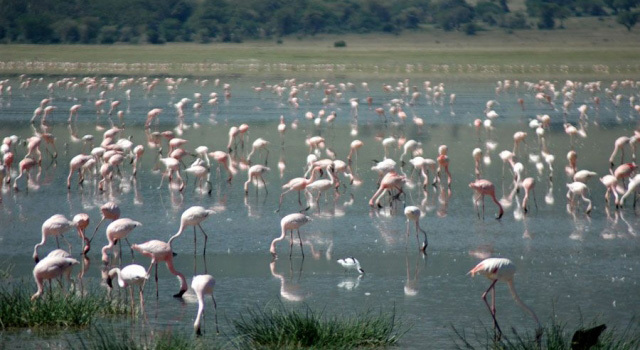 It's a good idea to incorporate a visit to the Ngurdoto Crater, forest and take in the lakes in half a day at the beginning or end of an extended Northern Safari. 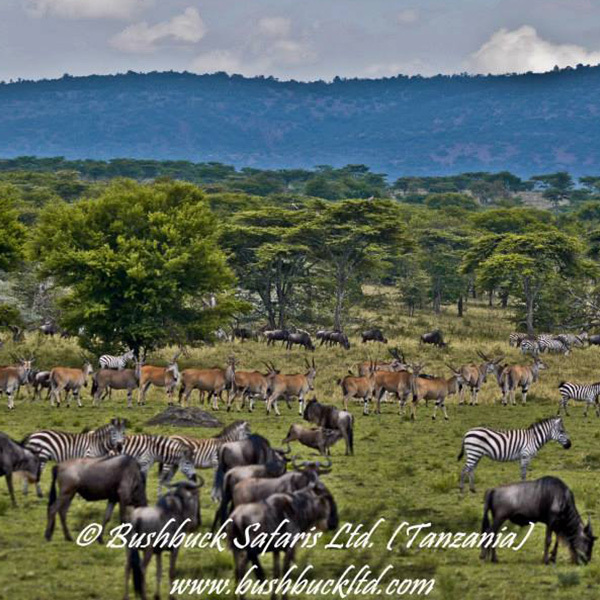 Arusha National Park is close to Arusha Town which is known as Northern Tanzania’s safari capital. 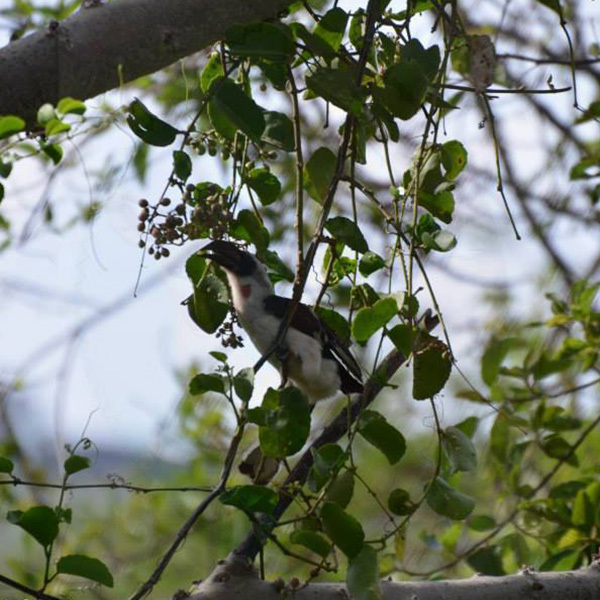 We see Arusha as a multi-faceted jewel of Tanzania with a multitude of exciting, diverse animal habitats. It’s possible to see the entire safari park in just a few hours so it is the ideal half day trip. 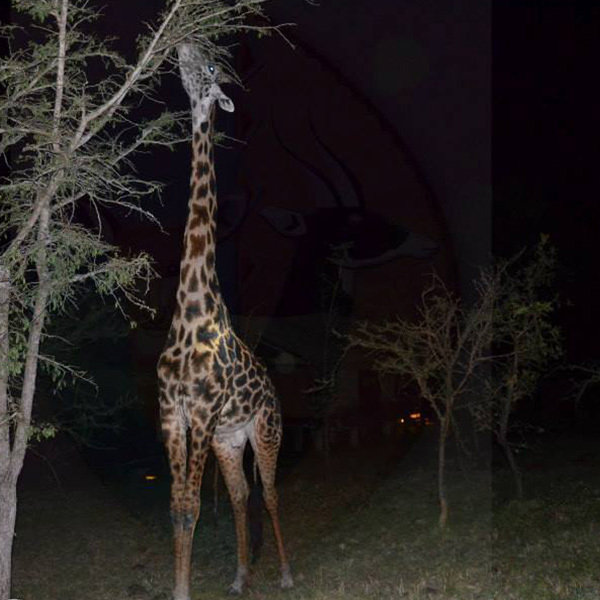 To see the majestic giraffe who are National "mascot" and spotted hyena's it'd best to visit Arusha National Park early morning and late afternoon. These times of day are also a superb opportunity to also witness the peaks covered in snow on Kilimanjaro, just 50 km away (30 miles) as it is when the clouds normally clear. However, Mount Meru is always in view and standing at 4,566 m (14,990 f) it is the 5th highest mountain in Africa and it dominates the park’s horizon. Explore the shadowy Montana Forest which is home to inquisitive blue monkeys, colourful turaco and trogon birds and is home to the black and white Colobus Monkey who will dazzle you with his incredible acrobatics! There are also sleek leopards striding across the forest. The animals are always excited when new visitors appear! 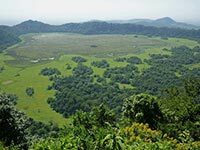 Right in the middle of the forest you’ll enjoy views of the fabulous extinct volcanic Ngurdoto Crater (sometimes called the mini Ngorongoro) which is an astounding natural area consisting of steep, rocky cliffs and wide marshland which is home to herds of buffalo and warthog. The crater is 3km wide and 400 metres deep. A little further north lays rolling, grassy hills, home to the tranquil beauty of the Momela Lakes. These lakes are known for their sparkling colours, each one a different shade of emerald green or sapphire blue. 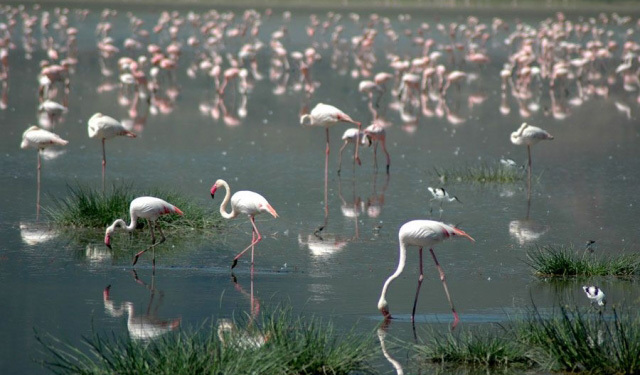 If you’re lucky, you’ll get to see thousands of pink flamingos; their bright shade adds another colourful dimension to the lakes! As well as flamingos, the lakes are also home to waterfowl and shaggy waterbucks showing off their large lyre-shaped horns while they stand on the edges of the water. Giraffes also elegantly saunter across the hills and zebra herds gather close-by, along with wide-eyed dik-dik who dart into the bushes, racing on their spindly legs as quick as they can! 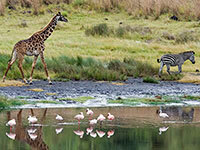 A safari around the Northern Tanzania Circuit follows a popular safari route. Optional Activities in Northern Tanzania.